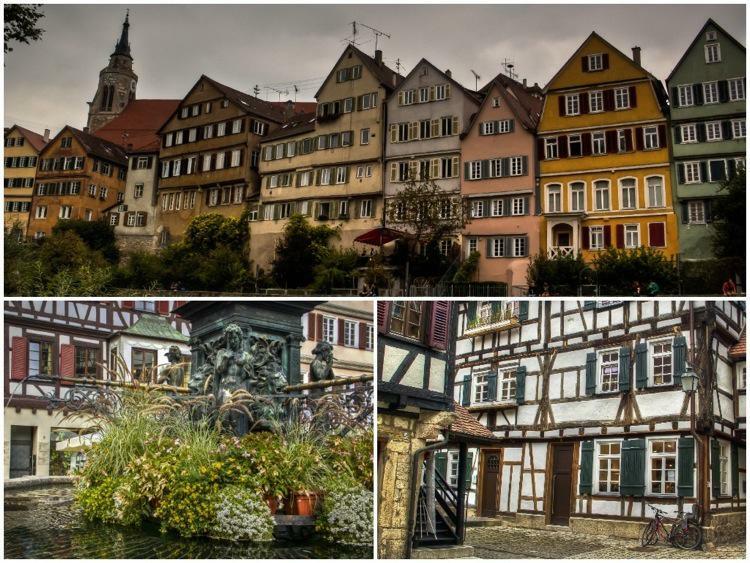 Colorful houses reflecting in the river Neckar, pretty alleys bordered by houses with their typical pointed roofs, beautifully decorated facades in the old town and café, pubs and wine bars vibrant with life. 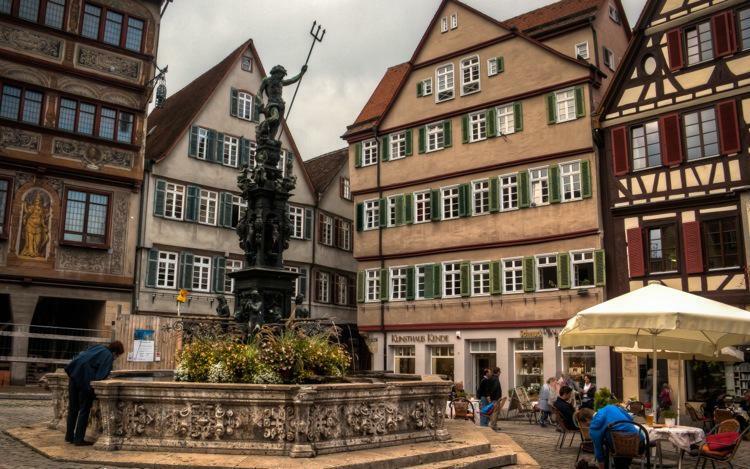 The tradition of Tübingen as a university town dates back to the 15th Century, when Eberhard I, Duke of Württemberg, founded the Eberhard Karle University in 1477. 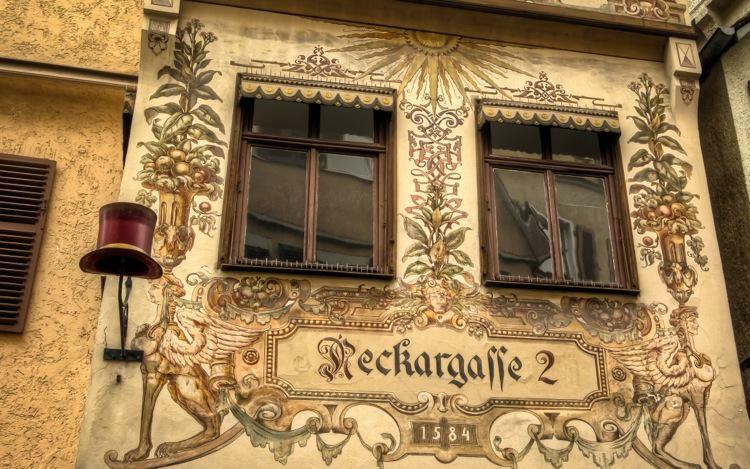 With the founding of the Tübinger Stift in 1535, the city became the cradle of Theology and Philosophy in Europe, homing some of the most important scientists, philosophers ,writers and poets of the past. Famous ‘Stiftlers‘ – students at the Stift – include the astronomer Johannes Kepler, the poets Friedrich Hölderlin, Eduard Mörike and philosophers Georg Wilhelm Friedrich Hegel and Friedrich Schelling. 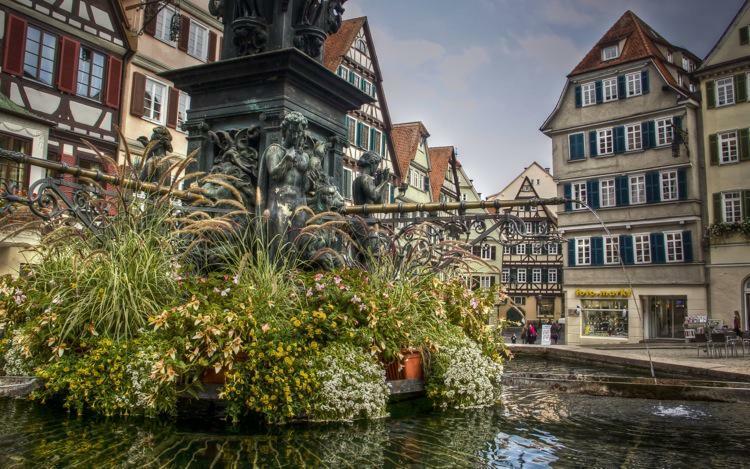 Although they did not study in Tübingen, the town counted for short or longer periods important residents like Alois Alzheimer (the man who first identified the terrible disease that bears his name), J.W. von Goethe and Hermann Hesse, the author of Siddartha. 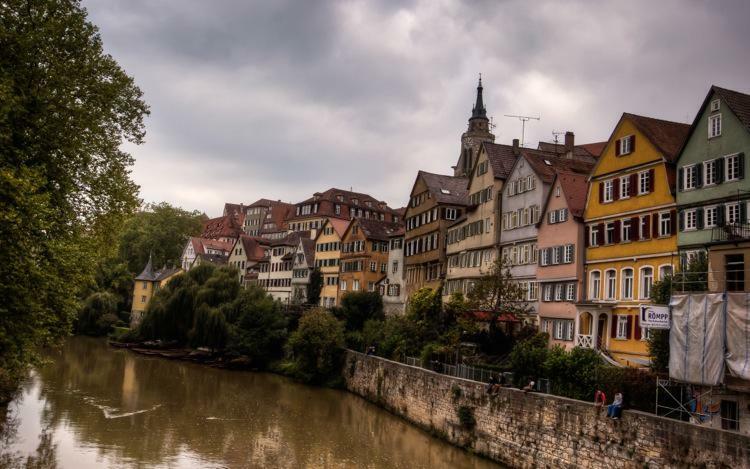 Unlikely many German cities, Tübingen was mostly spared during World War II from the bombings and the historical centre is very well kept and mostly authentic. Extremely popular as a university town (students account for about one-third of the total population) Tübingen, like most of the Baden-Württenberg region to which it belongs, is little known by foreign tourists although well worth a visit to get a taste of typical Southern Germany in a vibrant little city. Getting there: Tübingen is very well connected by train from Stuttgart (from there, the journey is about 55 minutes), Lake Constance, the Swabian Jura and the Black Forest. 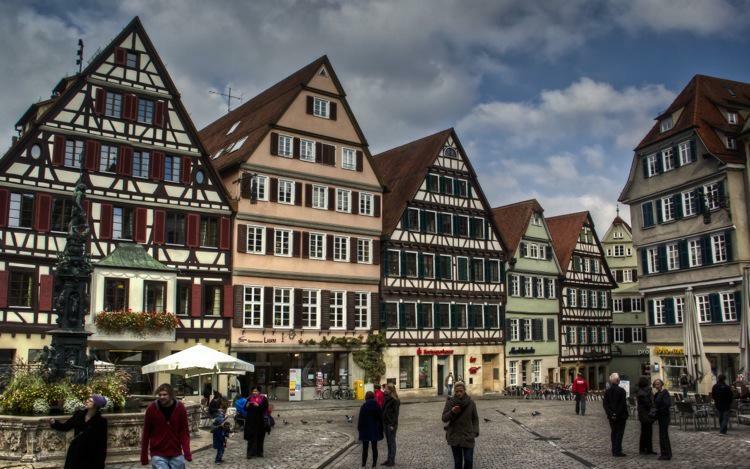 When to go: Tübingen and the Baden-Württenberg region can be visited any time of the year. However, late Spring and Summer are certainly the best months to enjoy the most of the area (including a ride along the river). 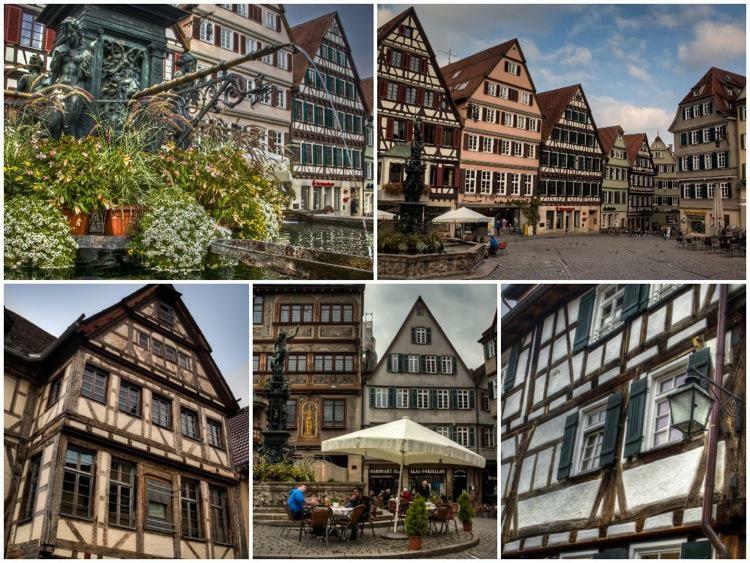 Note: I visited Tübingen and Baden-Württenberg as a guest of Deutsche Bahn and the regional Tourism Board. As always, Wild About Travel maintains full control of the editorial content. Stunning architecture! Sort of reminds me of Belgium, except this place seems more rustic. Absolutely love it. Those buildings are gorgeous! I like how symmetrical the windows are – there are so many! I love the decor and color of the buildings. Great that it did not suffer destruction in World War II. What a beautiful city. Looks a very pretty place that I would love to explore and photograph. I’ve never been to Germany but would love to one day.